March 2018, Portsmouth, NH –Juli MacDonald, AIA has been named an Associate at DeStefano Architects (D|A) in Portsmouth, New Hampshire. A graduate of the University of Illinois at Urbana-Champaign, she became a licensed architect in 1992. Juli joined the firm in 2002, having started as a project architect and she currently serves as the firm’s Residential Studio Manager. Within her role as Associate, MacDonald expands her leadership at D|A, continuing to uphold her responsibilities for client stewardship and promoting the firm’s long-standing dedication to providing design and construction administration services to projects throughout New England. MacDonald is currently leading several projects including the design of restoration and additions to a historic seacoast estate property and several award-winning lake-front homes. MacDonald has more than 20 years of diverse architectural experience in design and project management. She is a member of the American Institute of Architects, is NCARB certified and a LEED Accredited Professional. 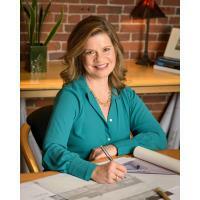 MacDonald holds a Bachelor of Science in Architecture degree and currently resides with her family in Amesbury, Massachusetts. She plays an active role in her community, serving on the YWCA of Greater Newburyport Board of Directors. For more than two decades DeStefano Architects has been providing award-winning design and construction administration services to private commercial and residential clients throughout New England. D|A is dedicated to creating environments that function efficiently and improve quality of life. For more information visit www.DestefanoArchitects.com.